The FAA Part 107 ruling was probably the most significant story of 2016 with regards to the drone industry. These long-awaited rules and regulations governing how Small Unmanned Aircraft Systems (sUAS) can be used commercially in the US were finally released after 10 years in the making! We wrote a post on it shortly after the rules came out in June and much to everyone’s surprise, the FAA was rather favorable to the industry with the ruling. However, we can be certain that these rules are not set in stone and will certainly adapt and evolve as the industry matures and new situations arise. Many companies working in drone services such as real estate agents and oil & gas pipeline inspectors had been eagerly awaiting this ruling and now there was a framework for allowing them to operate commercially. Thank you FAA! Another big win for the industry was the improvement of onboard sensors and cameras and the continual trend towards the miniaturization of hardware. As expected, we also saw improvements in the software to control drones, more powerful flight controllers with faster processors and advanced intelligent features like sense and avoid. Now if this sounds much like the commoditization of the PC we had in the 80s and 90s and that of the cell phone in the mid to late 2000s, you’re exactly right. Drones are basically flying computers (or robots!) with propellers or wings and will also naturally follow the ubiquitous Moore’s Law. This is great for competition and the consumer alike, and nobody is quite doing it like the mighty DJI. To say DJI was prolific in 2016 is an understatement. They released a new upgraded version of the Phantom 4, the Inspire 2 and of course everyone’s favorite, the foldable tiny yet powerful Mavic, which quickly became the best selling camera drone ever with an estimated half-million units ordered in its first 60 days. With improvements in optics across the board and new options for different types of sensors, let’s just say they left the competition aghast with the fallout. China continues to dominate the consumer drone market as sales are predicted to continually surge over the next several years, with global annual unit shipments increasing more than tenfold from 6.4 million in 2015 to 67.9 million by 2021. In early December, Amazon made big news with its first customer delivery by drone, carrying a package with popcorn and a Fire TV device (and no beer?) several miles to a two-story farmhouse near Cambridge, U.K., in 13 minutes. Bezos and Co. are definitely working hard to make Amazon PrimeAir a reality and with good reason. As shipping costs continue to rise worldwide, this will definitely decrease their substantial delivery costs allowing them to becoming less reliant on UPS and the likes and also giving shoppers the holy grail of sub-hour delivery. While we think this is positive for the industry, drone delivery as a practical part of our lives is still several years away so don’t count on getting your 2am pizza delivered to your door too soon! Drone delivery is a complex thing...there are just too many moving parts and technological hurdles that need to be solved before it’s a reality, but much like we’re beginning to see with driverless cars, it’s coming and is perfectly suitable work for drones to do. What was once certain to be DJI’s biggest competitor, Berkeley-based 3D Robotics quickly became the leading US consumer drone manufacturer and a real threat to the hegemony imposed by Shenzhen-based DJI. With the release of the SOLO in April 2015, the climb to the top was just a matter of time. However, due to production delays which caused many buyers to receive drones surprisingly without a gimbal (madness! ), buggy software and poor battery performance, the beautiful SOLO never even stood a chance. Not to mention, the company invested basically all of its capital and grossly overproduced the sleek black bird. We personally have several friends that were working for 3DR at the time and were rooting for its success because of our support for their Pixhawk-based flight controller. But truth be told, the hardware market can be painfully brutal, and with vertically-integrated players like DJI, any one misstep can prove costly if not catastrophic. Read here for more background on the story of 3DR and their pivot into enterprise software for capturing and analyzing aerial data. Take everyone’s favorite trusty GoPro Hero Camera, strap it to the body of a drone and you have the Karma Drone...a marriage made in heaven you say. Well not so fast! The makers of the adventure camera behind some of the world’s most epic moments had already been experiencing tumbling sales projections and quarterly losses before releasing its twice delayed and much-hyped (in typical GoPro fashion) first drone. The Karma was supposed to revive the company but instead literally feel out of the sky in masses. It was released in November and completely recalled just 16 days later after people were experiencing power loss while in flight. Thankfully nobody was injured but this was a colossal failure that could not have come at a worse moment for the struggling company. GoPro should have probably taken a cue from the Kickstarter crowdsourcing community...and that is building a safe reliable drone is no easy feat. It’s taken DJI 10 years, lots of resources and many iterations to get to this point so why should anyone expect to possess the magic bullet and come out the gate with a runaway hit? We’re not exactly the fanboy types but we do know quality robotics when we see and fly 'em! Looking forward to 2017, we’ll undoubtedly continue to see advances in hardware/software solutions across the board and an increasing number of players pursuing niche markets. Companies who are utilizing aerial data for improving their business decision-making will continue to refine their processes and see improvements in their bottom line. NASA in conjunction with industry partners (and on behalf of the FAA) will continue the important work of testing and developing the UTM (or the “drone highway”) addressing such topics as beyond visual line of sight operations and ultimately work towards Technical Capability Level Three testing slated for January 2018. At DroneSense, we’ll continue the hard work of developing the three main components of our platform: flight planning, flight control and flight management. It’s hard to believe we’ve been at this for a couple of years now, but we’re confident that the patience and resolve to build a top-notch product will come to fruition in 2017! We certainly thank you for being part of our extended drone family and wish you a prosperous and productive ‘17! 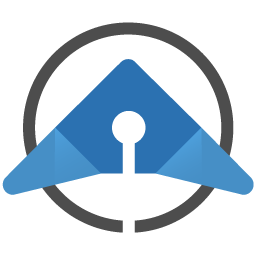 And if you’re an operator interested in a robust solution for the work you do, please check us out at DroneSense and request a beta invite. Till then, stay safe out there!